To be a Royal Woman, you must be able to withstand the pressure. To exist in the palace, you cannot just be a fragile flower but a poisonous bee – Royal Concubine. *elizaphantrex my amazing EDITOR, when you see this message, I’m wishing you have a great time on vacation. I know you’re having lots of fun, next time you see a cutie man reading Hemingway, I call dibs. See you soon!!!!! The palace is abuzz (pun intended) with the news that the Emperor had taken Lu Zhen back to her palace in his personal palanquin. Even the Royal Concubine has never done that before. 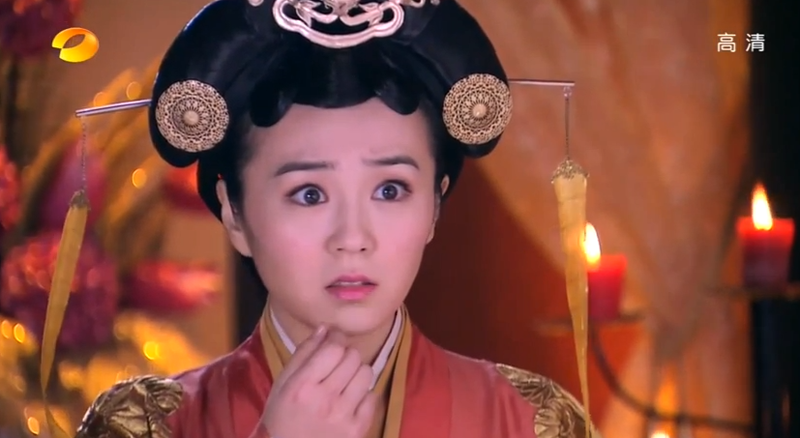 The Royal Concubine reacts angrily to the news and the rest of the palace is stunned. Shen Bi asks Wang Shang Yi what they should do, and Wang Shang Yi tells her to consolidate her power in the Office of Clothes and Silks. The Royal Concubine congratulates the Emperor for his new “acquisition.” She asks if he wants to name Lu Zhen his new concubine; he had already put her in the palace of isolation, so he must have planned to “have her” for a while. 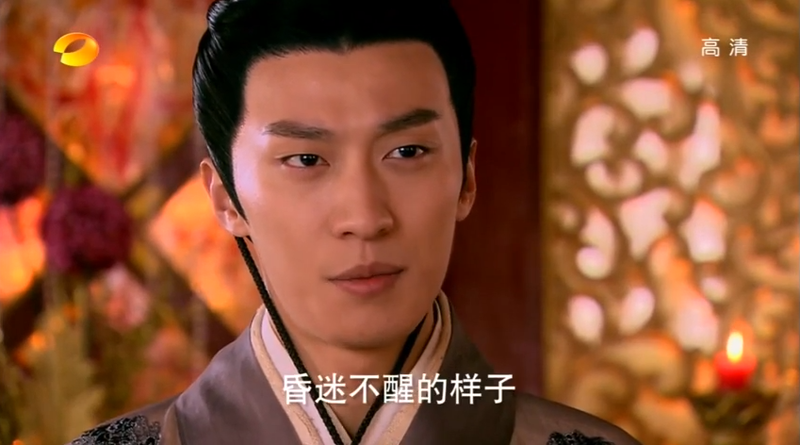 The emperor protests, saying that he helped Lu Zhen because she looked so much like the Royal Concubine. There is nothing but friendship between them. Besides Lu Zhen is Gao Zhan’s…. he’s silenced by the Royal Concubine’s icy stare. The Emperor tells her that he hopes Lu Zhen and Gao Zhan will get together quickly, so the Royal Concubine will forget Gao Zhan and at least look at him a little more. He hugs her and there is uncertainty, pain, and love on her face. She’s touched by his words. Lu Zhen wakes up and Dan Niang feeds her medicine. 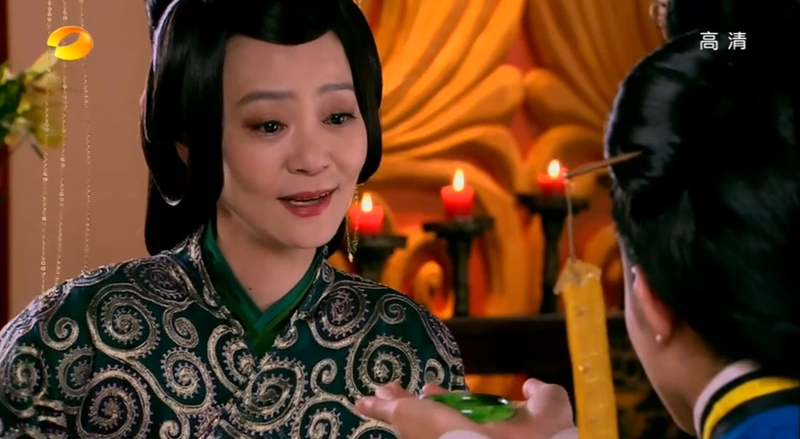 Lu Zhen sighs and says that because she has been sick so many times, even if the royal physician was blindfolded, he would be able to find the way to the palace of isolation. Dan Niang tells her she should get sick more often so the Emperor comes to her rescue, and asks if she want to marry the Emperor that way they can bully Wang Shang Yi all they want. 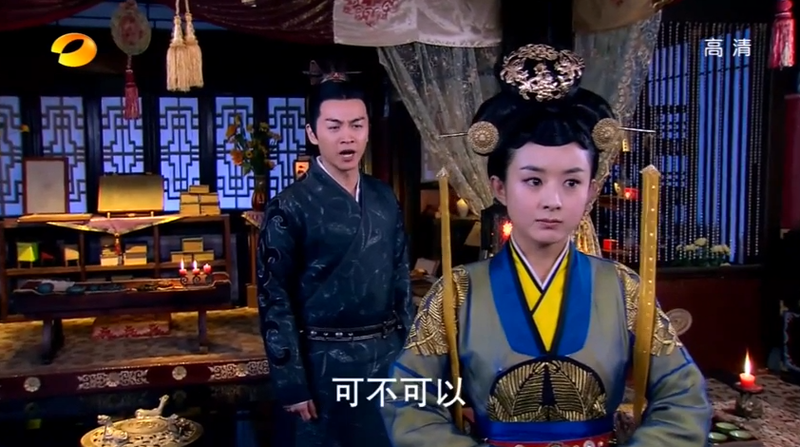 Lu Zhen glares at Dan Niang and Dan Niang tells her that if she wants to be Gao Zhan’s wife that’s fine too. Lu Zhen grabs Dan Niang’s cheeks and rubs them to get Dan Niang to stop talking. Ran Niang, the Royal Concubine’s maid comes with a daily medicine and the Emperor, looks at the medicine but lets her through. The maid asks if the Royal Concubine wants to drink the medicine today (it’s a contraceptive) the Royal Concubine says of course. They are going to keep with the original plan. She is still going to take down Lu Zhen, but do it so covertly that everything can’t be traced back to them. Everything she has done to this point has been to push Lu Zhen to the brink. 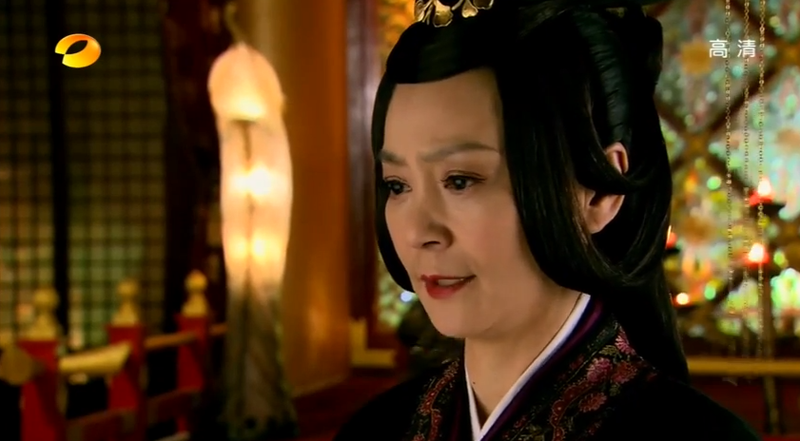 The Dowager is enraged that the Emperor and the Royal Concubine spent the night together. Lou Qing Qiang reminds her Lu Zhen and the Emperor had some close encounters. 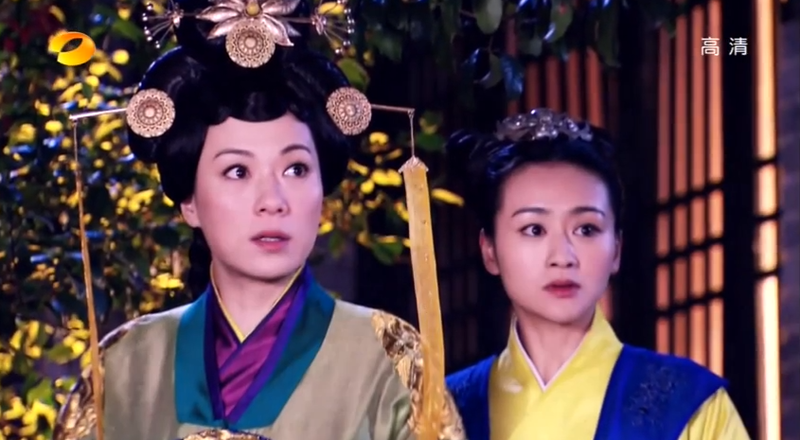 The Dowager wonders why the Emperor doesn’t take Lu Zhen to be his concubine. 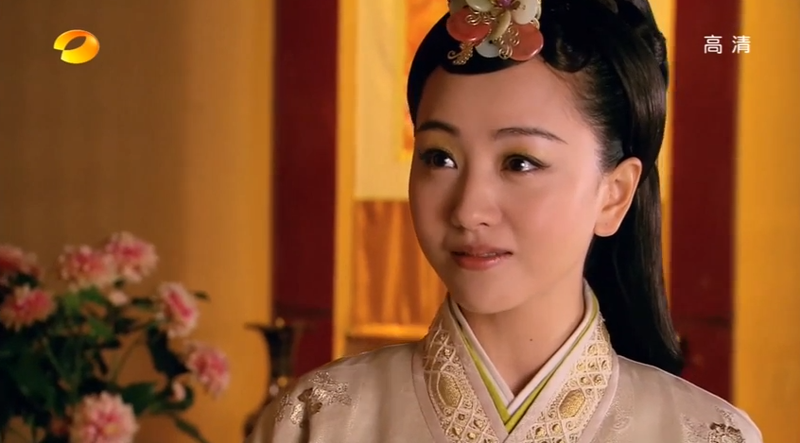 Lou Qing Qiang tells her its probably because the Emperor wants to protect Lu Zhen; after all, Lady Officials have power and concubines do not. Therefore, the Royal Concubine cannot touch her. The Dowager agrees that it’s a smart move. 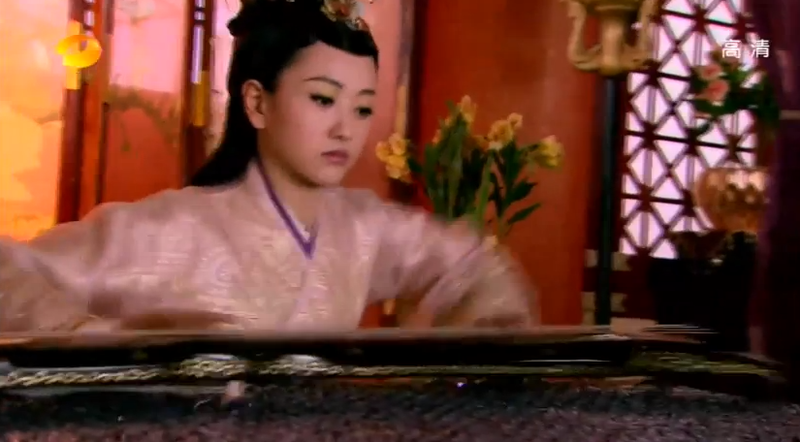 She tells Lou Qing Qiang to get Lu Zhen to visit, so she can show the palace that the Dowager is backing her up against the Royal Concubine. 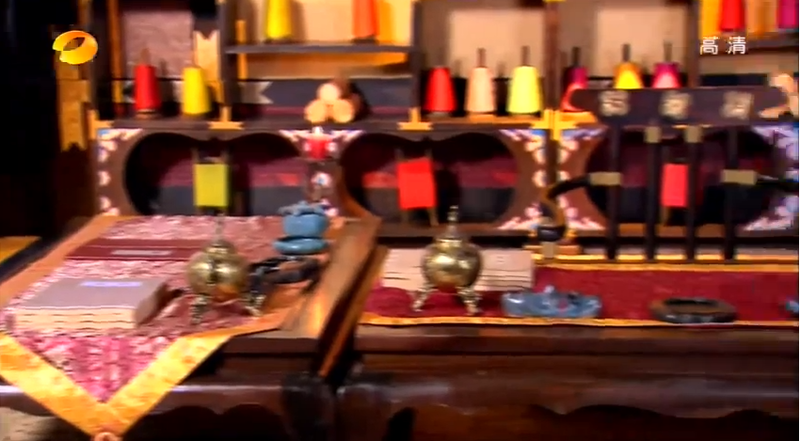 Lu Zhen arrives for work at the Department of Clothes and Silks to see that Shen Bi has basically taken over everything, and even changed her table. 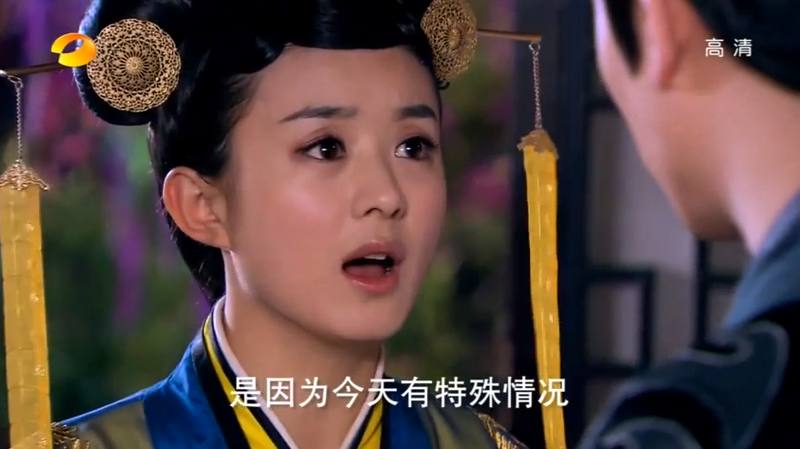 Lu Zhen has to kneel in front of Shen Bi and recite the verses she didn’t get correctly at Wang Shang Yi’s test. Lu Zhen goes to visit the Dowager who clucks over the needle injuries Lu Zhen obtained after working on the clothes for so long. 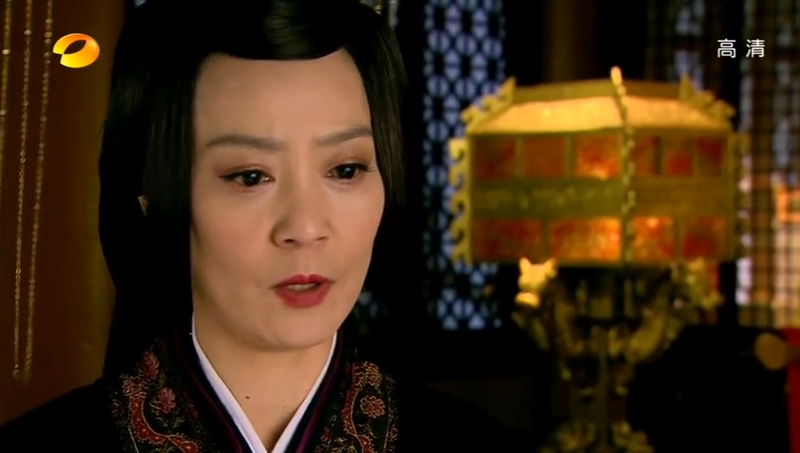 She asks if Lu Zhen wants to be reinstated right now and Lu Zhen says no, she will work her way up again. The Dowager smiles and appreciates Lu Zhen’s spirit, saying that if Lu Zhen gets 1st place at the annual Lady Official’s examinations next month then as a reward, she will raise Lu Zhen up to 7th Level Again. 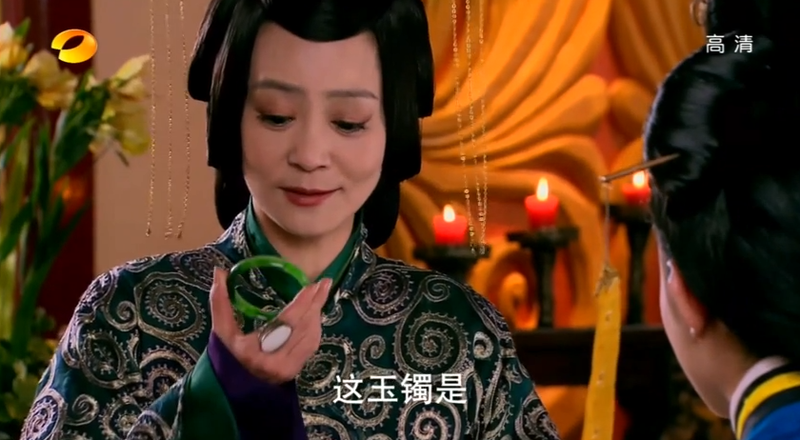 She gives Lu Zhen a jade bracelet to ward off sickness, and tells her that if there are any troubles, come to her. Lu Zhen happily goes back to her place and sees Gao Zhan. She rushes to hug him but he pulls away. He asks where she got the bracelet and she knows he would be upset if she told him. She lies and he catches her, yelling at her that the Dowager is downright evil, and that Lu Zhen shouldn’t be associating with her. 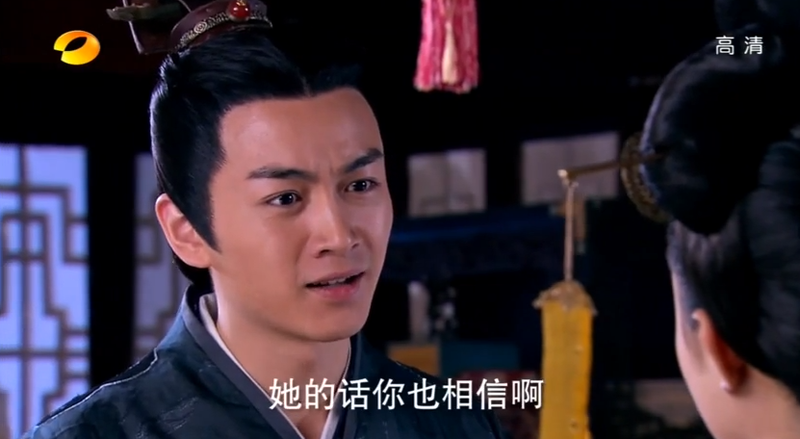 Lu Zhen tries to apologize and tells him that the Dowager came to find her today. 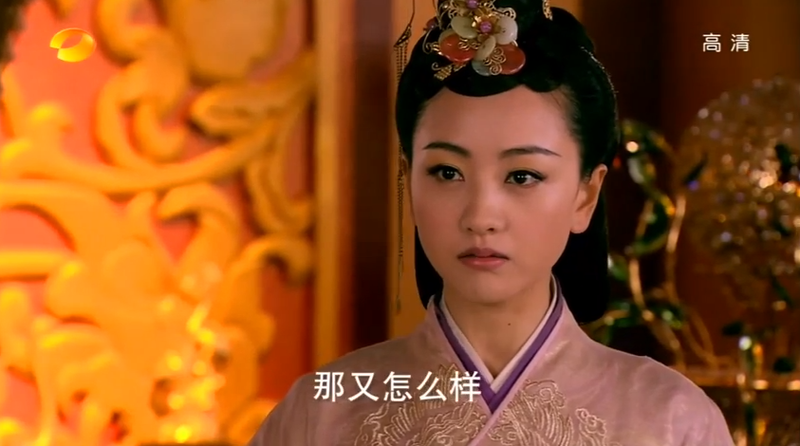 Lu Zhen has already upset the Royal Concubine, so thoroughly she can’t afford to anger the Dowager. 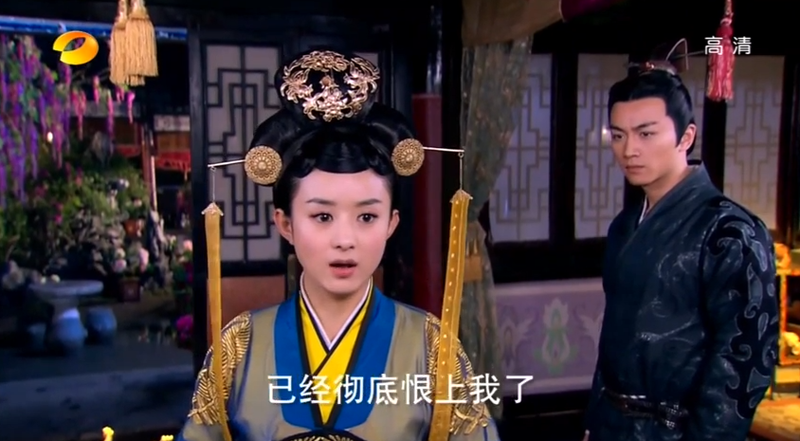 Gao Zhan asks why she didn’t come to him for help and yet ran to the Dowager? He had told her that the Dowager killed his mother. 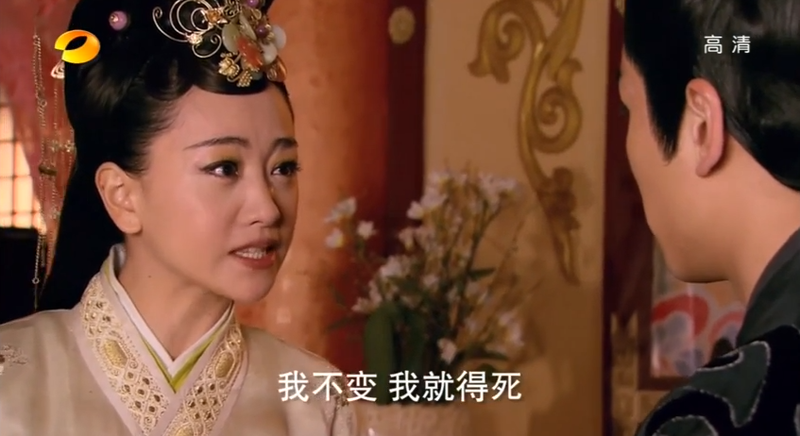 Why can’t Lu Zhen see that there is always an ulterior motive to the Dowager’s deeds? 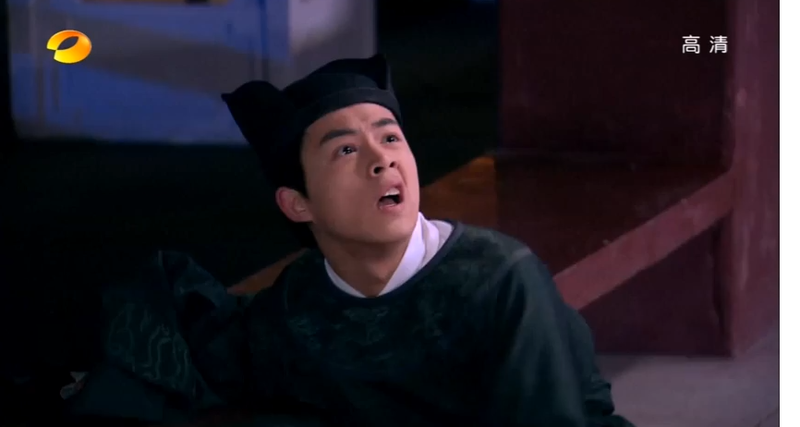 He tells her he is disappointed that Lu Zhen ran to the dowager to beg for her to raise her back to the 7th Level. 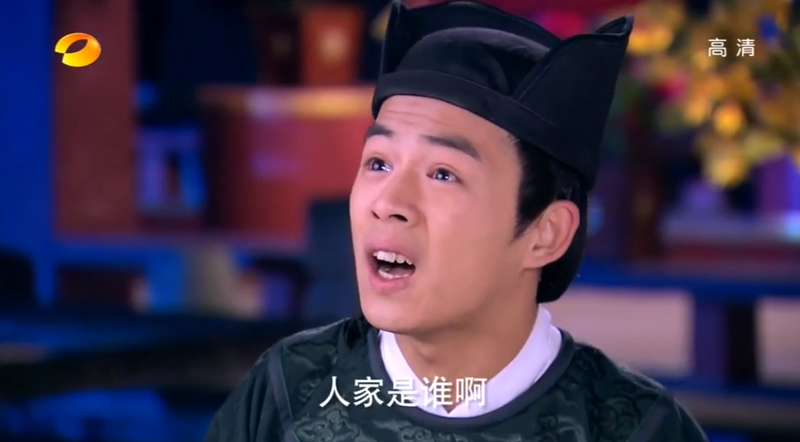 Lu Zhen gets even angrier and tells him that she didn’t; the Dowager had promised to raise her level when Lu Zhen can get 1st place on the tests. Every step of the way Lu Zhen has always worked hard and never tried to use her connections to get to the next level. 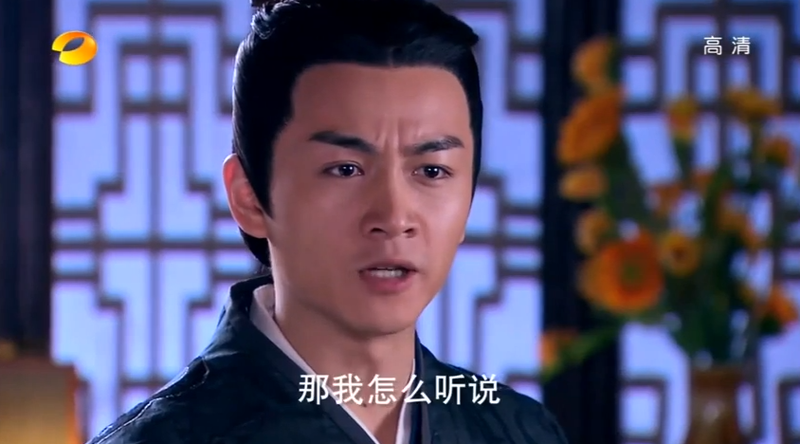 Why does Gao Zhan think that Lu Zhen’s struggles and problems are little, while his are so important. Gao Zhan shoots back that his problems are a lot bigger than hers. Besides, it’s because of him and the Emperor protecting her that Lu Zhen has been able to live in the Palace of Isolation. 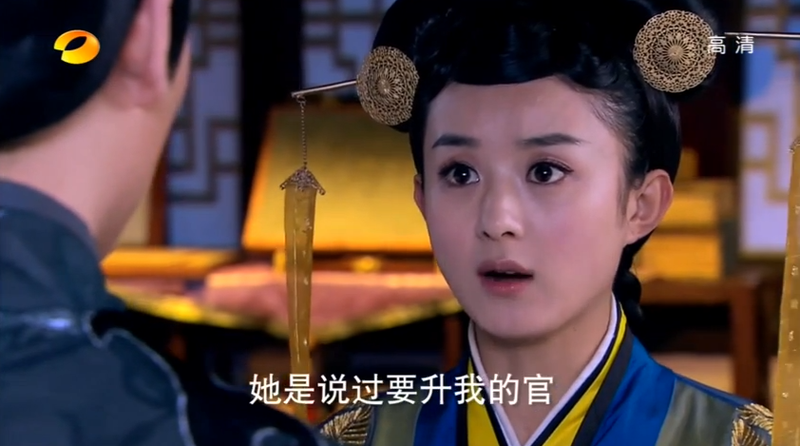 Lu Zhen is livid and her looks at him with the Crazy Eyes. She tells him to leave and when he doesn’t she says that she is such an unimportant person that she will leave. Gao Zhan chases after her and tells her to stop. In frustration he throws a flower pot at her feet and Gao Zhan stares at it. He tries to tell her that he was too much back there, but she continues to stare at the broken flower pot. It turns out that when Gao Zhan had thrown the flower pot, the White Tiger Ceramic she made for him had flown out of his sleeve, shattering on impact. Gao Zhan tries to apologize, genuninely sorry this time. Lu Zhen looks a him coldly while gripping the statue and asks if he should leave or she should go. Gao Zhan and Yuan Lu walk back, and Gao Zhan is still stewing. 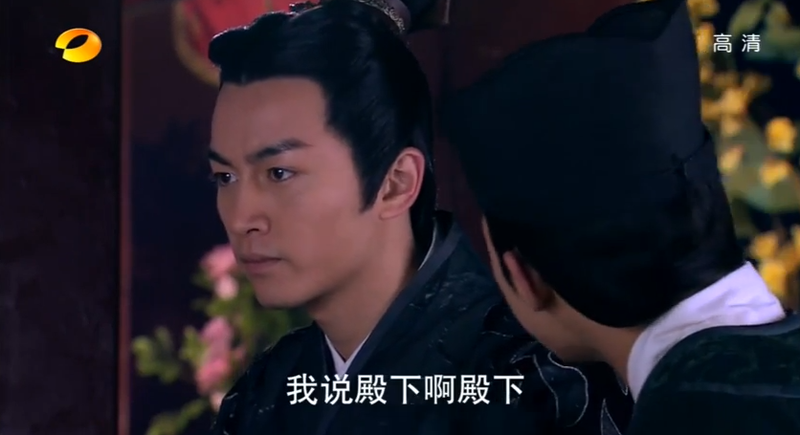 Yuan Lu tries to talk to him but Gao Zhan shoves him away after punching the air in front of Yuan Lu. 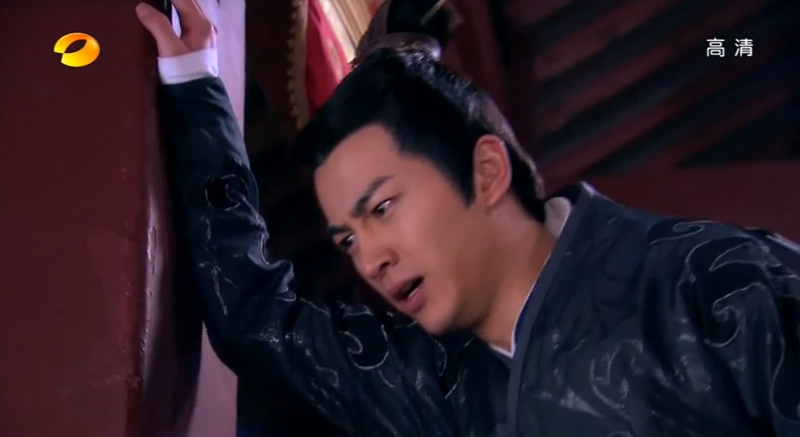 Gao Zhan kicks a pillar in frustration. He wonders why he lost control like that and went off on Lu Zhen. 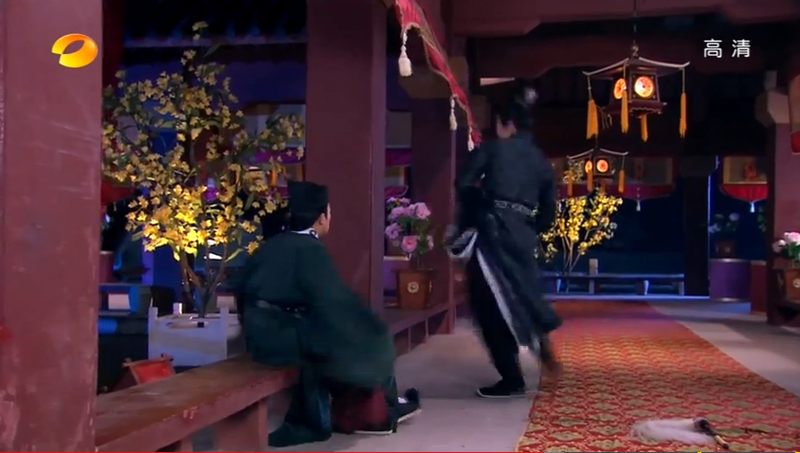 Yuan Lu looks so pitiful on the ground that Gao Zhan picks him up and sits him on the ledge. He asks how Yuan Lu had known where Lu Zhen was. 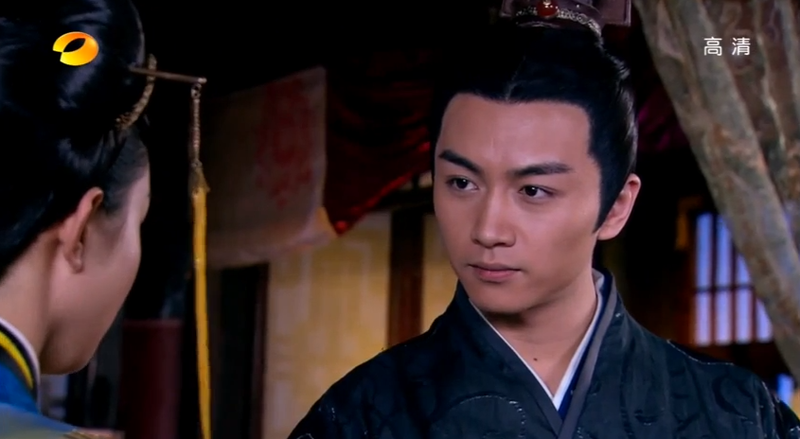 Yuan Lu tells him that it was the Royal Concubine’s maid that had told him Lu Zhen’s whereabouts. 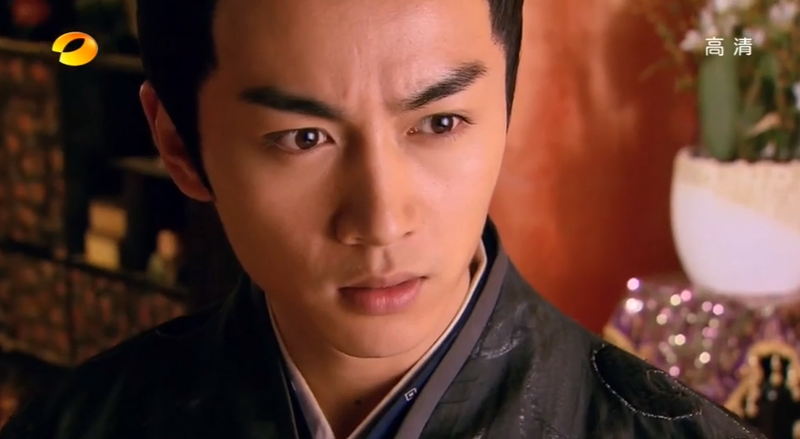 Gao Zhan realized that he had assumed Lu Zhen had gone to the Dowager on her own and that was a mistaken assumption. He sits next to Yuan Lu and tells him that he is dumber than Dan Niang. Yuan Lu has been hoodwinked, someone wanted Gao Zhan to make the wrong assumption and to tear them apart (finally). Gao Zhan tells Yuan Lu to go find the shattered pieces of the White Tiger. 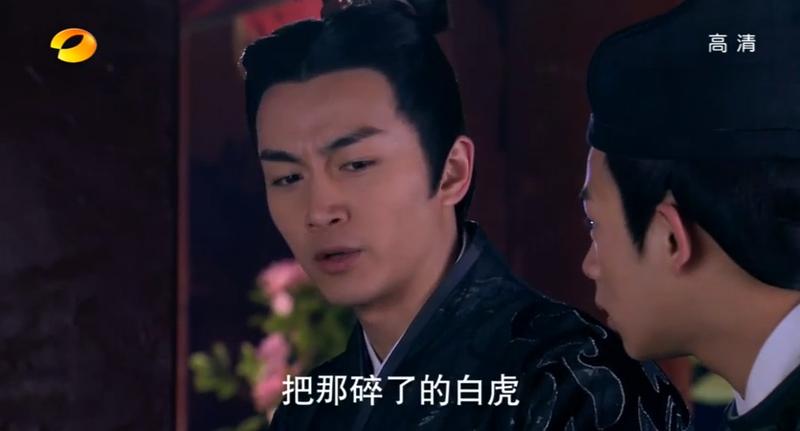 Yuan Lu looks at Gao Zhan in disbelief and tells Gao Zhan that he’s the one that’s dumber than Dan Niang. Who could be dumb enough to break the only ceramic tiger in the world? 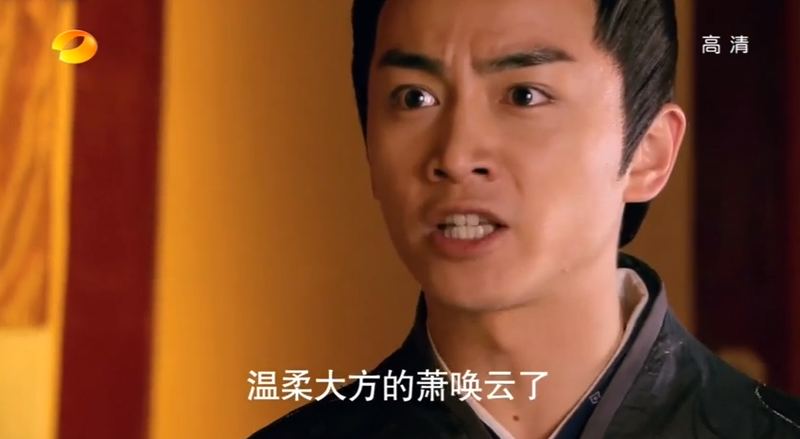 Gao Zhan tells him angrily, “congrats, Master Yuan, You’ve been hoodwinked, your master, I, have been hoodwinked. Yuan Lu goes away and Gao Zhan realizes who could possibly be behind this. 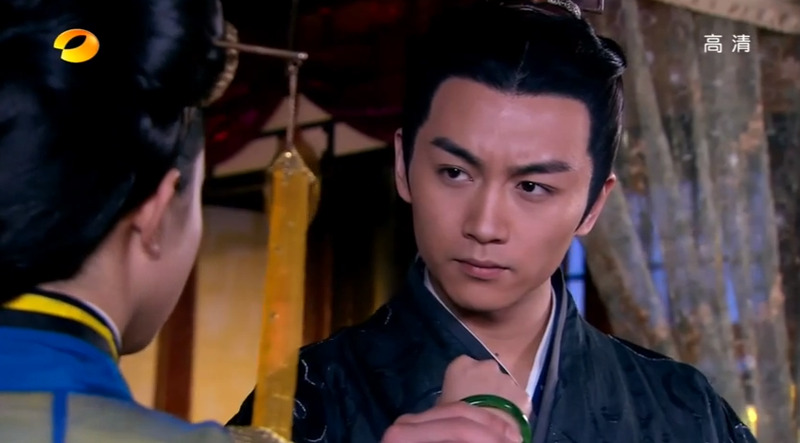 Gao Zhan uses a gold crane to let the Royal Concubine know he wants to meet. She happily does and he coldy warns her that he knows what she is up to. He will get ugly (figuratively) if she continues. She deludedly tells him that he is still in love with her and not Lu Zhen. 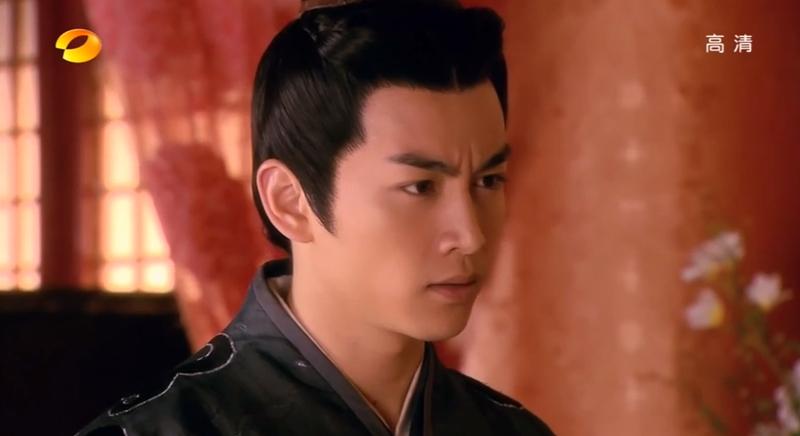 The royal concubine asks what Lu Zhen has done to him now that he doesn’t even want to fight for the throne. 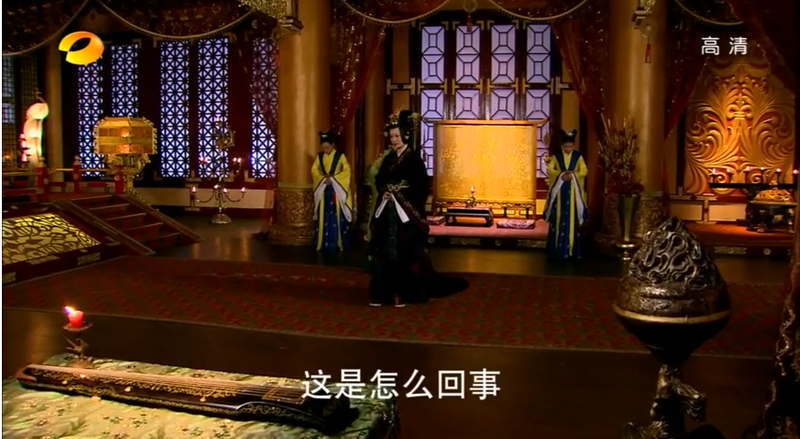 She (the Royal Concubine) has done everything for him, 1/3 of the ministers are on her side, and if he wants they can pull Gao Yan off the throne. 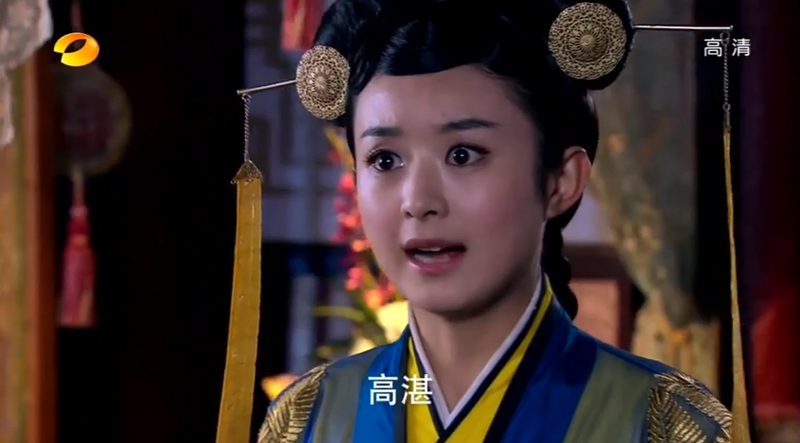 She won’t kill Gao Yan, as long as he willingly abdicates. Gao Zhan looks at her in disbelief and asks how she could be so evil. Didn’t she just spend the night with Gao Yan? 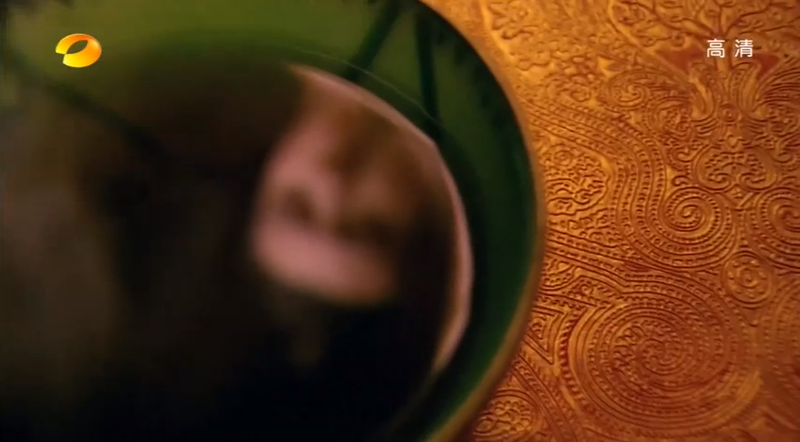 The Royal Concubine screams that they took her life, the Dowager and the Emperor. She became like this because they took her life, her family, and Gao Zhan away. She will make sure they pay, that Gao Yan will never have anyone to carry his name in the future. 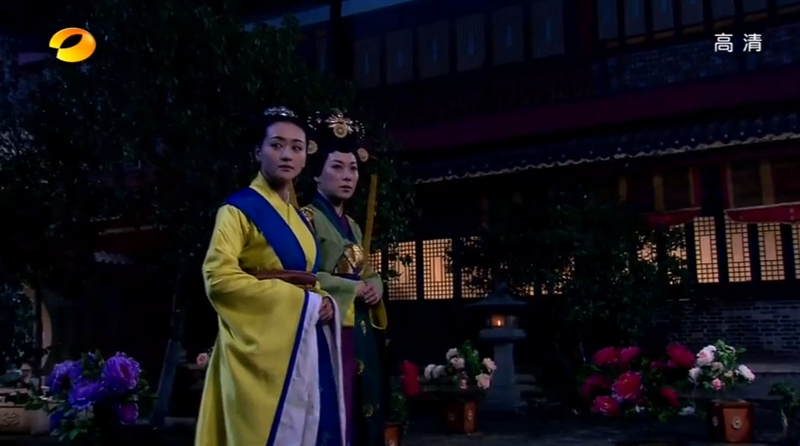 Lou Qing Qiang is outside patrolling the palace when she hears the screaming from Gao Zhan’s palace. 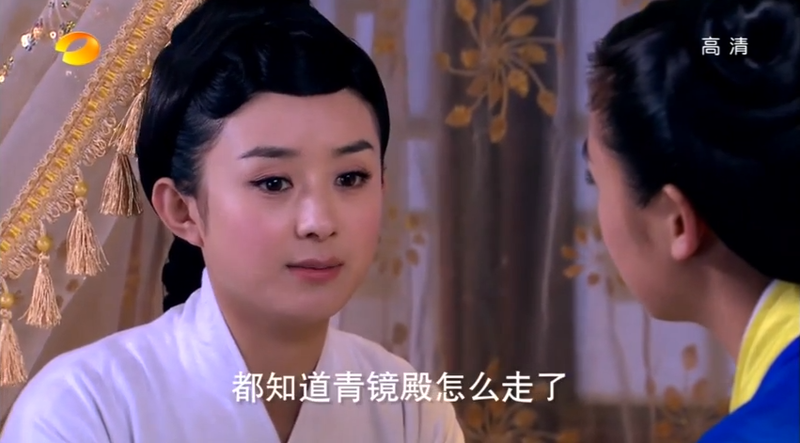 Gao Zhan asks what she means by that and the Royal Concubine tells him that she has been feeding all the concubines contraceptive medicine that she drinks also. Once Gao Yan dies (he won’t live past 30 because he is weak) she can marry Gao Zhan under the old custom. Gao Zhan backhands her across the face viciously. He screams that the Royal Concubine has changed. she is no longer the warm and sweet woman he knew. She is crazy. She screams back that she had to change or she had to die. Lou Qing Qiang realizes who is screaming. Thoughts: Okay I’m going to say it, I don’t like men hitting women. Yes the Royal Concubine is a terrible person, she has killed many many many people and is practically heartless. But her bitterness stems from so many past transgressions from other people and her hatred has been so consuming that it’s hard to imagine Gao Zhan can’t see where she is coming from. As for the Gao Zhan Lu Zhen fight – There’s been so many, but this one is different. This one he’s the instigator and he’s rushed to judgment. 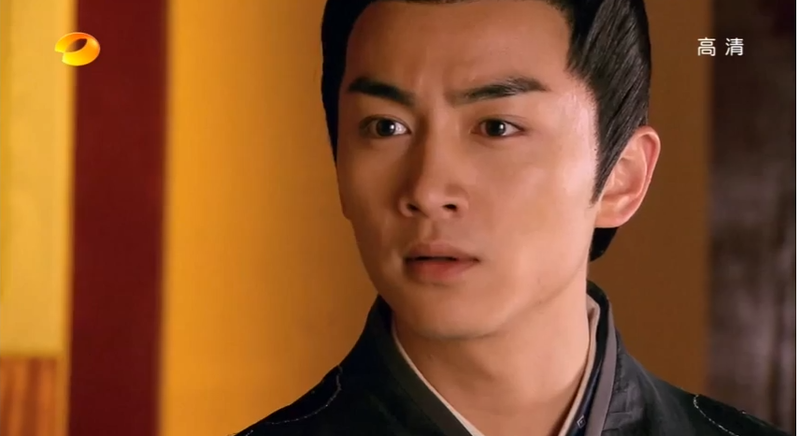 His anger towards the Dowager caused his suspicion towards Lu Zhen. I do think that this time, he is in the wrong. This fight again, ugh. Well, they are either fighting or making up most of the time. Wow, so as far as cute guys at coffee bean reading Hemingway are concerned, you know dat’s first come first serve. 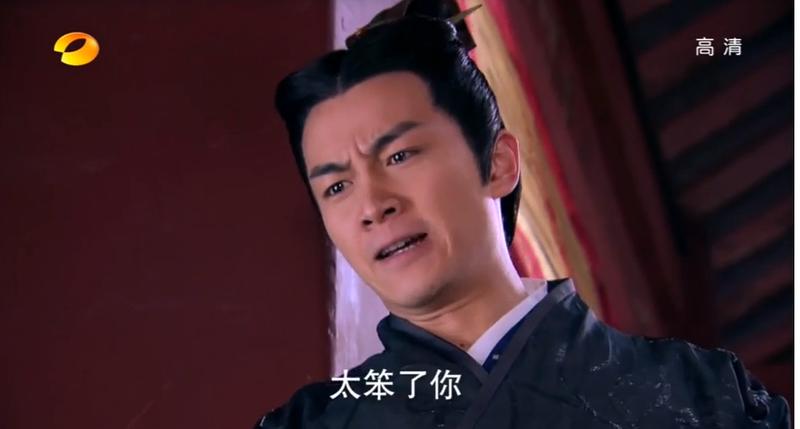 So… I was reading a very nice paragraph about Lu Zhen and her maid chatting animatedly about doctors and future husbands at the palace of isolation … and the next sentence is “They sleep together and the Emperor is really happy….”. My first thought was WTF, the second one was… hmmm…. how interesting… and then: hey, did I skip this scene???? Then I have decided to read the sentence again… and laughed beacuse of my imagination. 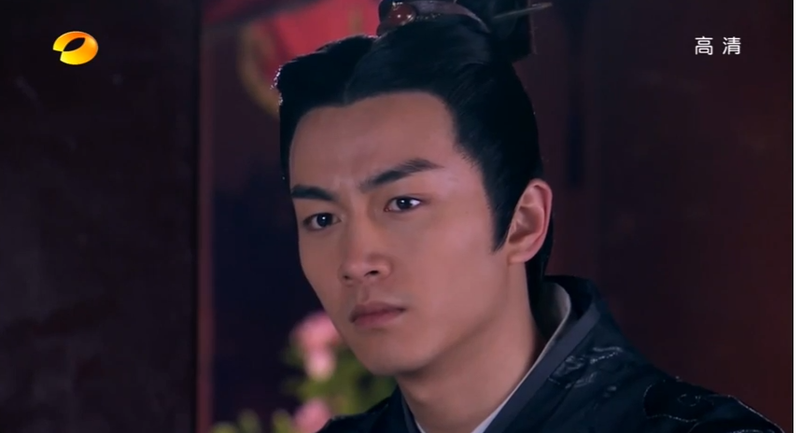 When I almost recovered from that one, I came across Gao Zhan glaring at the Royal Concubine and telling her that if she does not mend her ways “he will get ugly”. I gasped in horror: oh no, this is one of the reasons (ok, the only reason, there. i said it. now shove it.) I am watching all those other painfully stupid characters to see your cutie pie face and you want to be ugly now???? how….unusual…. you know, I can totally see Gao Zhan frying toasts for breakfast ( I shall not use “frying his own eggs”… I shall not…. I sh… pfffffffffffff!) but the image of him turning himself in one second from a hunk to a hulk will stay with me now for a longer period of time…. oh god, I am crying again…. and then I got sentenced to leave the sitting room, because of my mad laughing that disturbes my husband’s inner peace…. so I am writing from the bedroom where (thank you, oh great inventor of wi-fi) I am giggling myself mad about Royal Concubine “feeling other concubines”… I was like, hey, is she doing it like in those movies when they grab you and throw on the wall and check for all hidden weapons…. she could totally pull that out, right? nevertheless, this is episode is the best of the best of the best with the best cherry on top of it. I liked it because we see tiny cracks on the RC’ ice facade. Eventhough I am against violence on screen, I feel the slap was well-deserved in former lovers’ scene, but unfortunately not taken as it should be – as a cold shower reminding the former lover that maybe not everything is in the same place she imagines it to be (for example her marbles and his heart). I loved the heated argument between the OTP, because it touches the basic problems in their relations: miscomunication, insufficient information to form a balanced opinion, misconception about each other’ strenghts and beliefs, their whole relationship being so delicate it can crush under the gust of force thrown into their side. I think what hurt the most was his statement that she is where she is because of his and his brother’s grace and attention. It is not baseless (she would be totally dead by now if they have not pulled some strings) but as they keep tabs on her, he should know she worked really hard for every promotion she got. and he broke her one and only, made by her own tiny little hands in this big and scary kilin during some restless nights White Tiger Ceramic!!!! Gao Zhan, you ungrateful Hulk, you! ok, just give me that broom. I will be round the corner sweeping the hall near the Gao Zhan’s headquarters. You know, just to check if he is not turning green or something…. Hahah, I’m at work right now and your comment made me laugh in a very very quiet office. I went back to change the two paragraphs that caused u to laugh at my expense😳. And believe me, I laughed a lot when I saw what I wrote. I shouldn’t make any excuses but it’s all my editor’s fault for going to Santa Barbra and leaving me to flounder on my own. I think recapping these shows has destroyed my grammar. I will be better!!!! I’m sorry that you got banished to the living room! But I’m glad that you enjoyed the recap!! oh noe, how dare she leave you and head off to the sunny beaches, cool drinks and potentially hot dates? if I were You I would plan some nasty editing work as a welcome back gift, you know… so she does not get too lazy under the sun ;). just kidding, of course. off to do catch some sleep before external auditors come flooding my office tomorrow. I am scared to pieces so it was good to spend some quality time in Your world again ;). Have a great time, elizaphantrex! I am just beginning to feel frustrated of this OTP..
It’s diff when you compared with OTP in BBJX or even at other dark Ancient Chinese….